Massive are based in Malmö, just like Midnight Hub! Making games truly are a team effort, as this photo of the crew responsible for The Division illustrates! We got the opportunity to hang out with the talented Norwegian developers behind the upcoming horror game “Through the Woods”. Tanya Short from Kitfox games held a kickass presentation on the procedural story generation of Moon Hunters. Hideo Kojima gave a talk on his design, life and new studio. As you can tell the hall was packed! Last week the Nordic Game Conference took place in Malmö! NGC is one of the world’s biggest game developer conferences, and as always it was packed with great speakers, cool parties and sweet games. 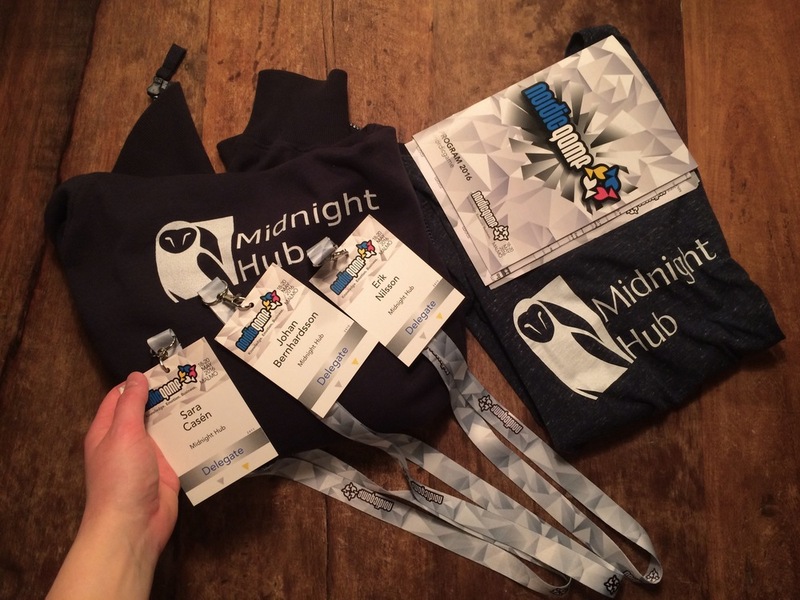 Midnight Hub attended together, and we tried to make it to as many of the talks as possible. In between the lectures we had some catching-up to do with former colleagues as well as with some old and new friends. A lot of people asked us if we had a booth to show Lake Ridden, but right now the game isn’t that pretty to look at, so we had decided to not rent a booth this time. Perhaps next year, or possibly at GDC in 2017. One of the best things about NGC was to get to talk to the awesome folks over at Krillbite and Antagonist Studios. They make these emotional, deep games we totally think you should check out. On top of this we got interviewed by Sweden’s biggest business newspaper, Dagens Industri, which was awesome. If you know Swedish or doesn’t mind Google Translate you can find the interview over here! Conferences are nice and all, but it’s time to dive back into making our game. If you want more bite-sized nuggets about Lake Ridden and Midnight Hub you should follow us at Facebook!